Every human being is different from another. They way we talk, the way we look, our bodies – they all are different. As women, this means that not all have the same sized breasts either. Some are smaller in size and some are bigger. The key to always look good lies in the ability to dress right for your body. Big busted women can't pull of all the clothes that small busted women can with the same élan and vice versa. 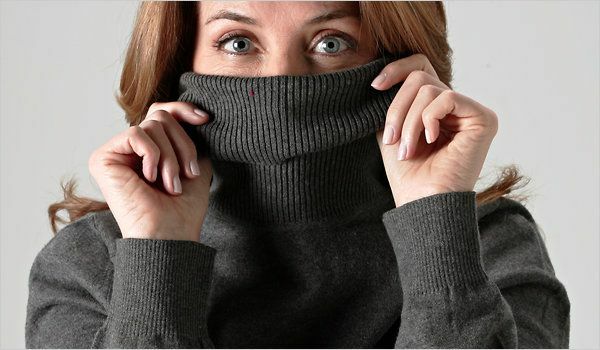 Today we have same fashion tips for big busted women, which will help you look your best always! Tops with closed or higher necks don't generally look too flattering on women with a big bust. The closed form gives the impression of one singular breast which is not too good looking. V necks, drop necks and scoop necks look absolutely flattering on big busted women. With the right amount of cleavage show, you will always look stunning in such necks. If you don't want too much attention on your bust, then opt for longer sleeves as opposed to sleeveless and half-sleeve tops. ¾ sleeves are a good bet too. We aren't suggesting that you wear extremely tight clothes, but don't wear extremely baggy clothes either. Wear form-fitting clothes that sit on your frame just right. If your aim is to not show off your girls too much and also look slimmer, then darker shades are the way to go. Darker shades always make you look slimmer than bright shades do. If you are big boobed, then skipping on button-up tops is something you should try to do. Button-up tops will tend to get tighter at your breasts and tug at the buttons leaving a gap through which your inner can be seen. You may often have to buy tops a size bigger than your actual size just to accommodate your girls, this leaves the top hanging in loose in other places. Make use of a belt to cinch the top so that so that it fits you better. Don't be afraid of layers. Wear well-fitting jackets and blazers over your tops to add a little extra to your look plus make your form look more flattering. A scarf can do more than just keeping your neck warm. If you don't want to expose too much of your cleavage then just cover up with a scarf. Scarves are colourful, come in various materials and look chic. An alternative to using belts to make your clothes fit better, is to find a good tailor and ask him to alter your top in places other than you chest area so that it fits perfectly to your body. May cost a little extra, but it is better than wearing clothes that take away from your beauty. 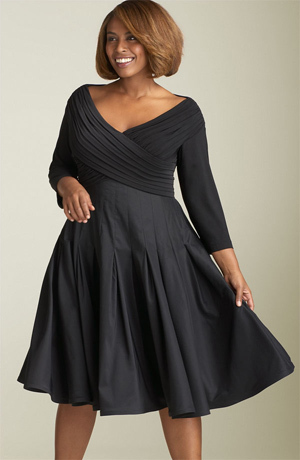 While you can wear a number of dresses that don't have high necks, I have noticed that empire waists and wrap dresses look absolutely stunning on women with a larger chest. Try it out yourself! Now that you know these fashion tips for big busted women you can now dress to impress!